I always find it fascinating to see what kind of big trades are being made in the options markets. Some of the smartest strategists in the world use options markets as their playground, so generally speaking, you can assume a lot of research went into these blockbuster type trades. It’s also interesting to guess what the goal of a particular block trade is. Of course, we can never know for sure. A trade could be a hedge or a speculative bet. It could be part of a much larger strategy with multiple pieces in different markets and asset classes. Unless you’re talking something like a covered call (which is self-contained), we can only make an educated guess as to what a trade’s purpose is. Nevertheless, we can often glean important information about an asset or asset class from associated options action. For example, when you see a large straddle being purchased, it can be a useful indicator that there’s going to be an increase in volatility or movement in the underlying instrument. A (long) straddle is an options strategy where the trader buys a call and put at the same strike in the same expiration in an underlying asset. By purchasing both the call and put, the trader is not reliant on the asset moving just up or just down. The straddle allows the buyer to make money in either direction, as long as it has moved far enough from the strike. Essentially, going long a straddle is a bet on volatility. A buyer doesn’t have to be correct about a direction, just that the stock/ETF/etc. is going to be at a different spot than it is now. (It’s typical for straddles to be purchased at the at-the-money price.) Professionals will often hedge their straddle when it moves using stock. However, there’s no reason you can’t just trade the straddle and let it ride. 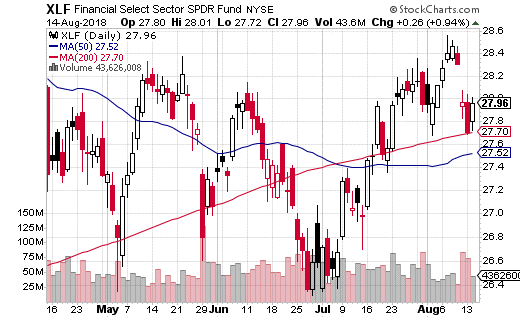 A well-funded trader purchased the 28 strike January 2019 straddle (28 call plus 28 put) in the Financial Sector SPDR ETF (NYSE: XLF) for $2.51 per straddle with the stock at $27.75. XLF is the most popular ETF for trading the financial sector. It covers banks, insurance companies, investment companies, and a few other related industries. This particular straddle shows that the trader likely is expecting financials to be in a very different spot in the next five months. Of course a lot can happen in 5 months, and there’s a significant election day during that period where control of Congress will be decided. At $2.51 per straddle, this trade will break even above $30.51 or below $25.49. At expiration, if XLF is between those prices, the trade will lose money – although max risked is just the $2.51 spent on premium. Still, the straddle was bought 5,000 times, which costs over $1.2 million dollars. That’s no small amount being risked. On the other hand, the trade will generate $500,000 in profit for every dollar above or below the breakeven points. Besides elections, there’s also plenty of economic news and data expected in the coming months. There will also be a handful of widely followed FOMC meetings where rate increases could occur. In other words, there are a multitude of potential catalysts for an increase in volatility in the financial sector. If you agree that XLF could be on the move for the remainder of the year, then this isn’t a bad way to position yourself. $2.51 for a straddle is not an unreasonable price to pay with five months of time left until expiration. Most importantly, you don’t have to pick a direction. 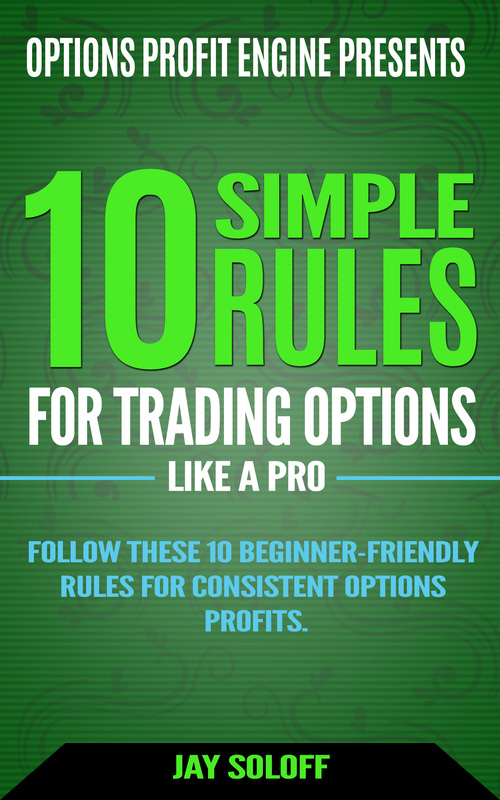 Follow these 10 simple rules that professional traders use – but most individuals ignore, forget or just plain were never told about – and you’ll discover you how you can generate hundreds of dollars in extra income... beat 99% of other investors... target the biggest “profit zones” while avoiding risky lottery ticket trades that can wipe out your portfolio in the blink of an eye and much more. You’ll also learn how to figure out exactly how much you’ll make before you even place your trade and when to collect your cash.